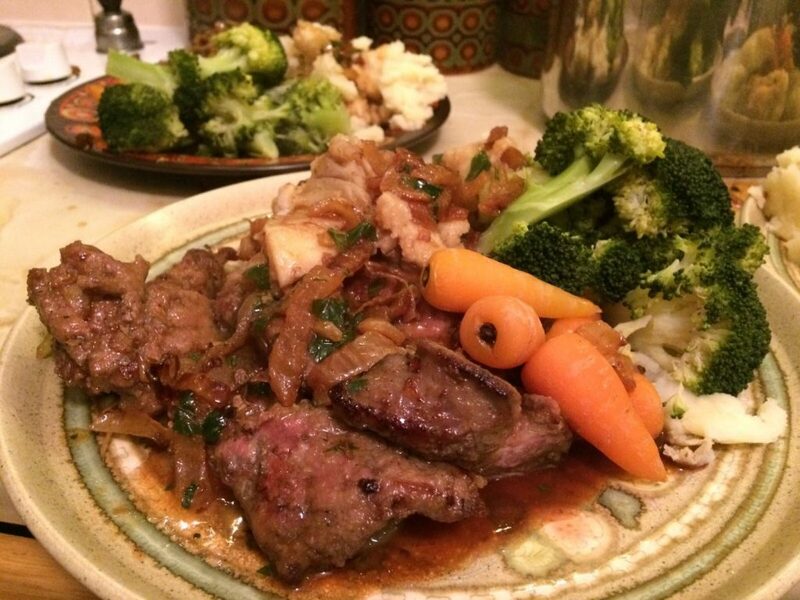 Under Doctor’s orders, I am trying to eat liver once a week. 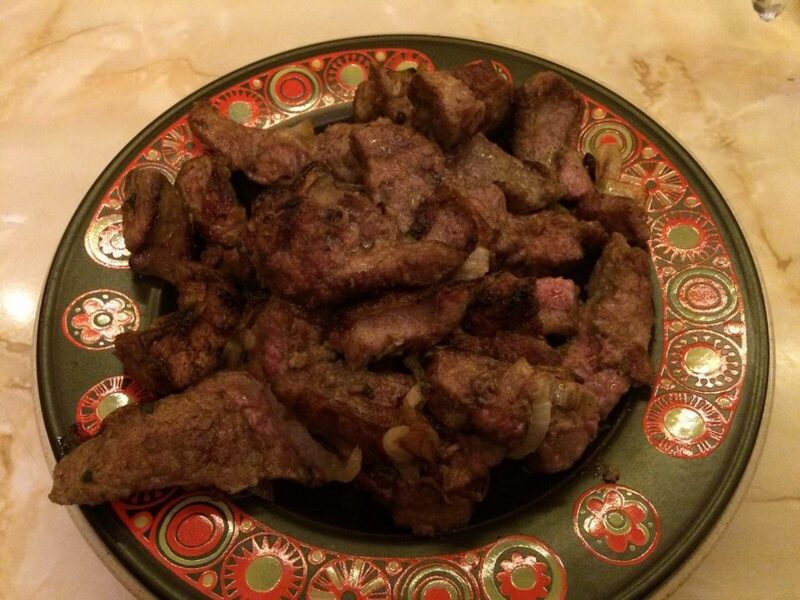 This is no real hardship as I love liver, however, I am not confident about cooking it. 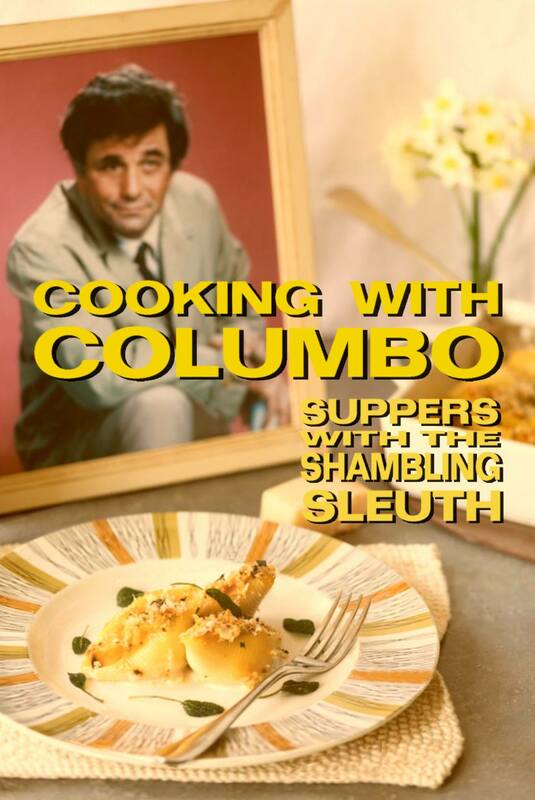 Luckily my ex Vic, who lives downstairs from me is an expert in this field so he supervised the cooking of this dish. Corinna is also a fan of liver so at a recent meet up of the Cedar Court Three we had Vinnie’s lovely liver. Man, it was GOOD! 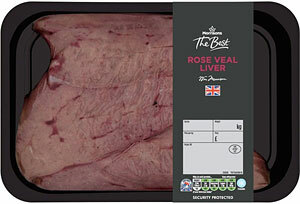 Much discussion was had about the rose veal liver I bought from Morrisons. Vic was of the opinion it was “too expensive” until he ate it, then he changed his mind because it really was a cut above. The thing I really, really, really like about the recipe (apart from the fact it has wine in it) is the fact it serves 3. When do you ever see a recipe that serves 3? Vincent, I love you. 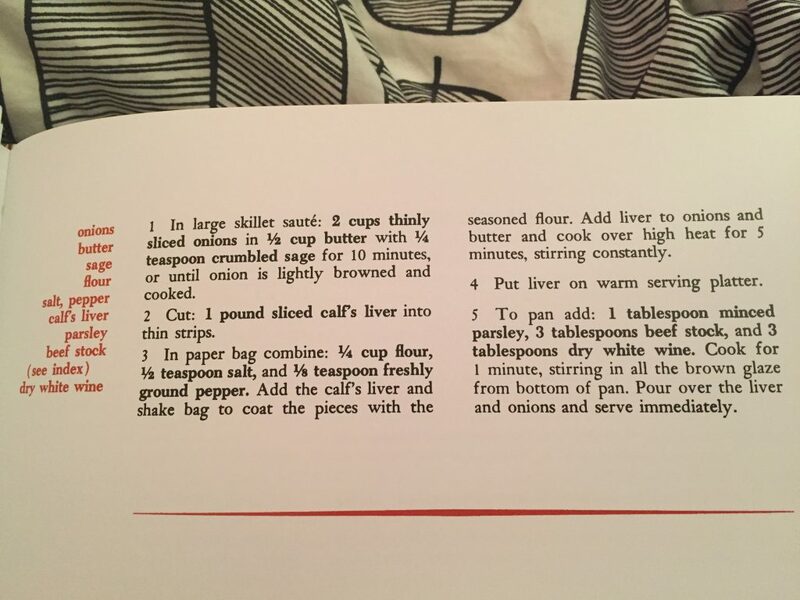 Lovely liver for three. We ate it all too! For dessert, as usual, I brought out the hat box full of chocolate. Vic usually poopoos my hat box full of chocolate and I admit, some of it has been in there a looooooooong time. Luckily though, there were some recent acquisitions purchased in case of trick-or-treaters at Halloween (there were none). 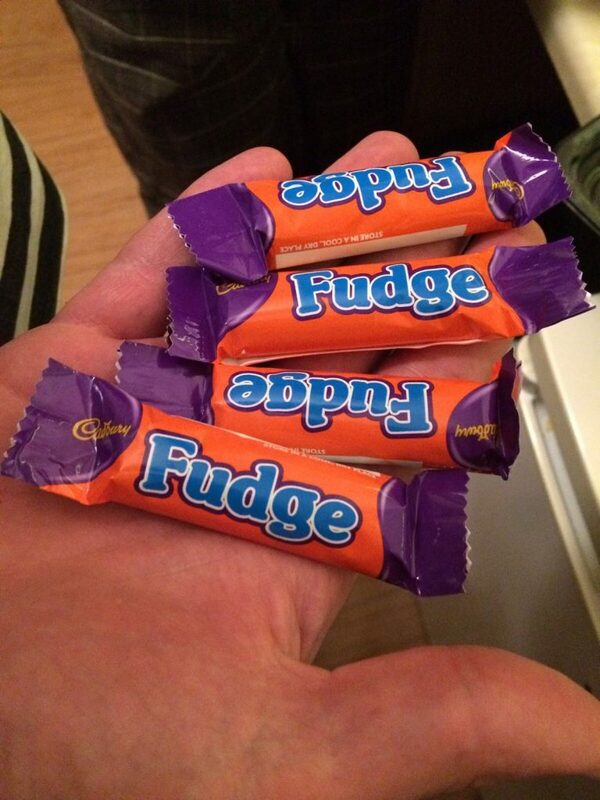 I think Vic actually ate all these, or if not, took some home with him. Man, that’s going to be in my head now, ALL DAY. As usual with the lovely Corinna and Vic round at my flat, a lovely, lovely evening was had. I am so lucky we all live within a stone’s throw of each other. 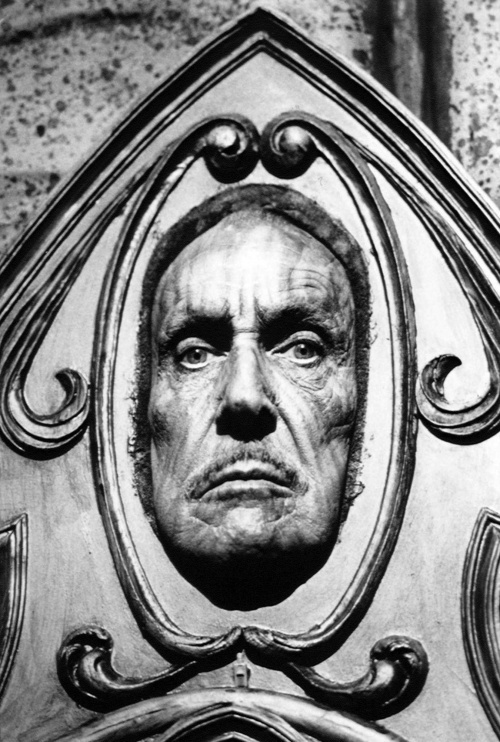 I am also very lucky that Vincent Price was a fan of liver. I see from the spreadsheet that there are lots to try. 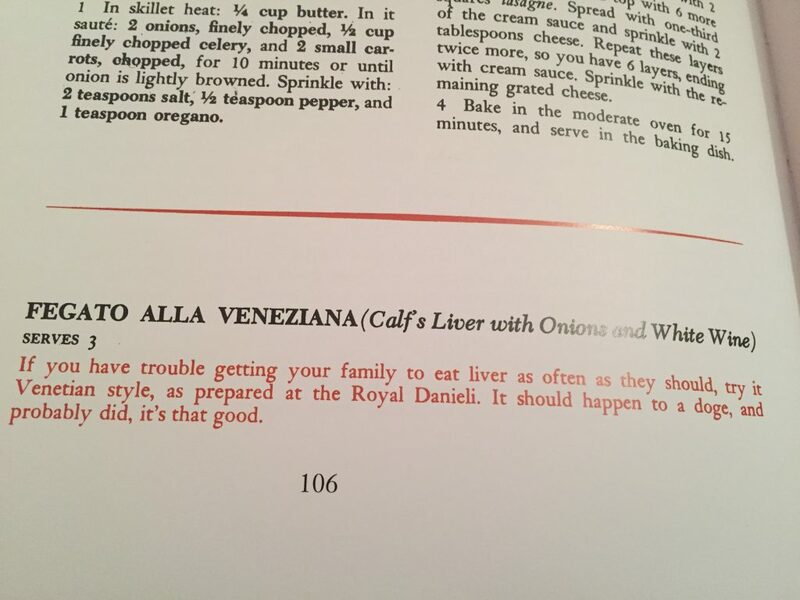 I’ve already made his Calf’s Liver and Avocado (weird but good) and his Chicken Livers Sautéed with Apples and Onion Rings – which was delicious – maybe I’ll try his Calf’s Liver Mariné next? 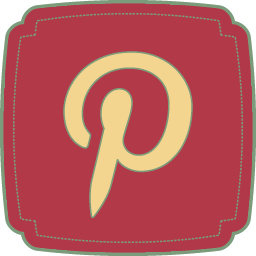 Recipe from the best cookbook in the world – The Treasury of Great Recipes by Vincent and Mary Price.